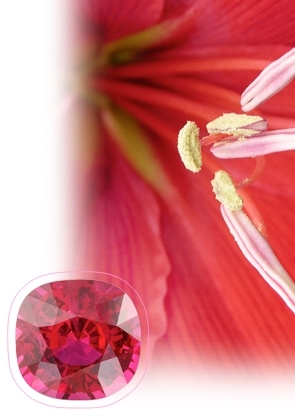 The ruby is the official birthstone for the month of July. Gem of passion, of smoldering desire, ruby has been treasured for thousands of years. Because the ancients thought its glowing red color was due to an inextinguishable inner fire, ruby was also always associated with courage and power. Throughout most of recorded history, ruby has been the most valuable of gems. It was believed wearing a fine red ruby bestowed good fortune on its owner – although the owner must have already had good fortune enough to possess such a rare and beautiful gem.